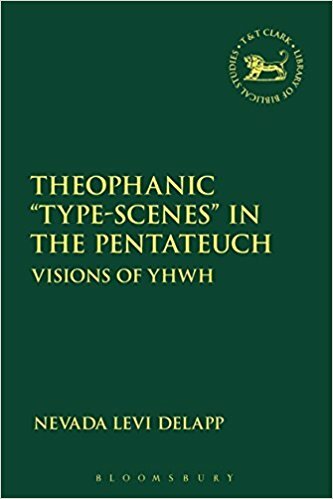 Description: An examination of the presence of theophanic scenes in the final form of the Pentateuch, which argues that rather than there being a single, over-arching theophanic �type-scene� there are multiple such scenes which reflect the individual theological tendencies of the biblical books within which they appear. The Genesis type-scene revolves around YHWH's promises in crisis situations (i.e., YHWH only appears when there is a crisis or threat to the Abrahamic promise). The Exodus type-scene typically includes the appearance of YHWH's dangerous fiery presence (Kabod Adonai), a communal setting, and divine action constituting or preserving Israel as a people in preparation for the Abrahamic inheritance. In Leviticus the theophanies augment the Exodus type-scene with a liturgical setting where a specific priestly action brings forth a theophanic response. DeLapp then shows how Numbers recontextualizes each of the preceding type-scenes as it retells the exodus narrative post-Sinai. When read synchronically the three type-scenes build on each other and follow the developing narrative logic of Israel's larger story. Deuteronomy then re-reads the Exodus type-scene (and indirectly the Genesis type-scene) to ensure that later readers read the theophanies appropriately (i.e., YHWH only appeared as �formless� and shrouded in �fire�). Citation: Koowon Kim, review of Nevada Levi DeLapp, Theophanic �Type-Scenes� in the Pentateuch: Visions of YHWH, Review of Biblical Literature [http://www.bookreviews.org] (2019).